Now that you’re a college graduate isn’t it time for you to show off that big brain to your friends and family. With the Nissan College Grad Program you will look like a genius in no time. 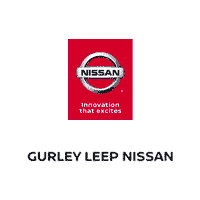 This program is not only quick but easy as well and can save you up to $1,000 Off MSRP which can be combined with other current Nissan Incentives giving you maximum savings. If you’ve graduated within the past 24 months or have written confirmation of upcoming graduation with the next six months as well as proof of current or future employment that begins within 90 days, you could qualify for a major discount.